It is interesting to note that beef was part of food habits from Vedic times. Just over a decade ago (2002) in Dulina village of Jhajjar in Haryana, a mob of over a thousand people lynched five Dalits who were skinning a dead cow to sell the hide. A few months ago in Malegaon, Mahahrashtra, police arrested three Muslims on the charge of storing beef. On the back of this comes the news from Bisara that a Muslim was killed and his son injured seriously on charges of storing and eating beef. In the context of the Dulina lynching, VHP’s Acharya Giriraj Kishore at a press conference stated that “the life of a cow is more precious than that of a human being.” The recent incidents may be a sample of what is happening, this is becoming a ‘new normal’ after the new Government at the Centre has taken charge. BJP-ruled states beginning with Maharashtra have been bringing in legislation to ban the storage of beef. For Hindu nationalist politics, identity issues have been the hallmark and they pursue it to divide society and polarize communities along religious lines. Today the insecurity amongst minorities is growing every day, making their lives very difficult. Thus far, the Ram temple issue was the core one. 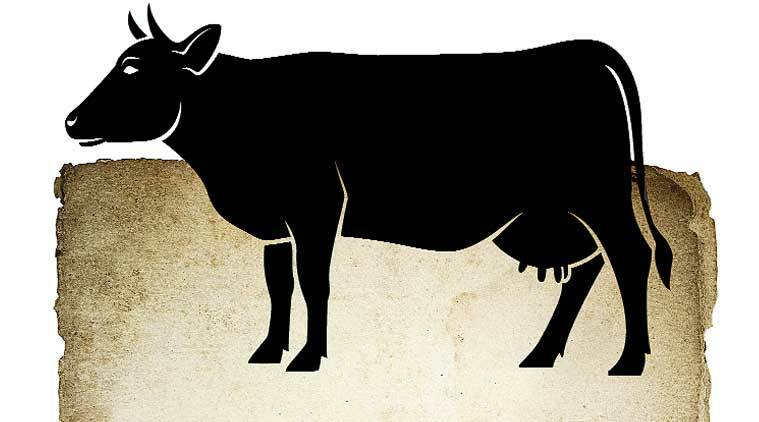 Now the Holy cow, ‘cow as mother’ is the major tool. As such ‘cow as mother’ was the ploy used by Hindu communalism all through from late nineteenth century. At that time, there was a matching slogan of ‘pig as an object of hate’ from Muslim communalism. The TV serial Tamas (Bhism Sanhi) showed a pig being thrown into a mosque to instigate the riots, a parallel to beef in the temple and such incidents leading to communal violence. After independence, the ‘pig in the mosque’ is heard of less often. Occasionally one did hear of beef in the temple being put in by Bajrang Dal elements. At a subconscious level, the issue of beef has been kept very much alive and now this issue has become more important as far as communal polarization is concerned keeping in mind the electoral arithmetic. It has added to the worsening scenario as far as communal harmony is concerned. It is remarkable that in our country to begin with, cow could be presented as ‘mother’ and then used as a tool of communal propaganda and action. Talking at an economic level, cow has been an important part of the agricultural economy. The old bullocks and cows being used for food by large sections of society has been the norm. Apart from Adivasis, large sections of Dalits, Muslims, Christians and even upper caste Hindus consumed beef, as a cheap and rich source of protein. Being a large country with big cattle strength, India is also the major exporter of beef. It is not that society cannot resolve the issue of contrasting food habits and faith in an amicable way. Gandhi shows the way and one wishes that we he has to say on the issue of beef eating, “…beef is not their (Muslims, added) ordinary food. Their ordinary food is the same as that of the millions. What is true is that there are very few Muslims who are vegetarians from religious motive. Therefore, they will take meat, including beef, when they can get it. But during the greater part of the years, millions of Muslims, owing to poverty, go without meat of any kind. These are facts. But the theoretical question demands a clear answer. As a Hindu, a confirmed vegetarian, and a worshipper of the cow whom I regard with the same veneration as I regard my mother (alas, no more on this earth!) I maintain that Muslims should have full freedom to slaughter cows, if they wish, subject of course to hygienic restrictions and in a manner not to wound the susceptibilities of their Hindu neighbours. Fullest recognition of freedom to the Muslims to slaughter cows is indispensable of communal harmony, and is the only way of saving cow. By now, the Muslim as the ‘cow killer’ has been propagated so much by communal forces that yeoman efforts by those; wanting peace, tolerance and pluralism; are needed to overcome the hate built around this propaganda. 1 Rising political violence across India: Is the era of Gandhi dead and gone?